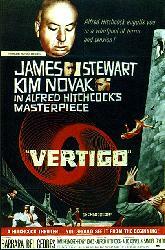 "Vertigo" scribe Samuel A. Taylor has passed away. He was 87. The screenwriter who co-penned (with Alec Coppel) the Alfred Hitchcock classic "Vertigo" was originally a journalist with the New Yorker. Taylor then segued into radio and television and finally found his way into feature films with 1954's "Sabrina" which he co-penned with legendary Billy Wilder and Ernest Lehman (who scripted another Hitch classic, "North by Northwest"). "Sabrina" was directed by Wilder and starred Humphrey Bogart and Audrey Hepburn. In 1995, it was remade into the Harrison Ford film (also named "Sabrina"). Other writing credits for Taylor included Hitchcock's 1969 "Topaz," "Goodbye Again" (Ingrid Bergman & Anthony Perkins), "The Pleasure of His Company" (Fred Astaire & Debbie Reynolds) and other plays and films. For additional Hitchcock info, please visit Theater #16.